Turtles for sale in Tesco, in the Fengtai area of Beijing. Live turtles are sold and often killed on the premises of the shop. 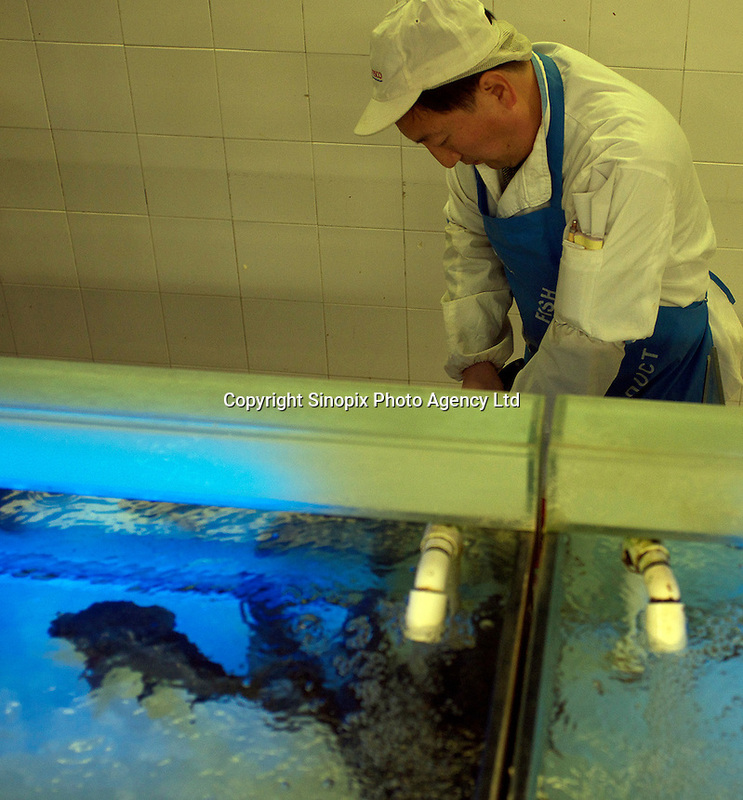 The turtles cost 48 RMB (4.88 UK pounds) for a kilo. The turtle in the basket cost 163 RMB (16.59 UK pounds).